It’s National Chicken Month, and chicken doesn’t have to mean boring dinners with these healthy chicken recipes for light family meals. First up are quick and easy Grilled Chicken Avocado Wraps for you to pack for lunch. Taco Tuesday is the perfect time to make these Skinny Baja Chicken Tacos. 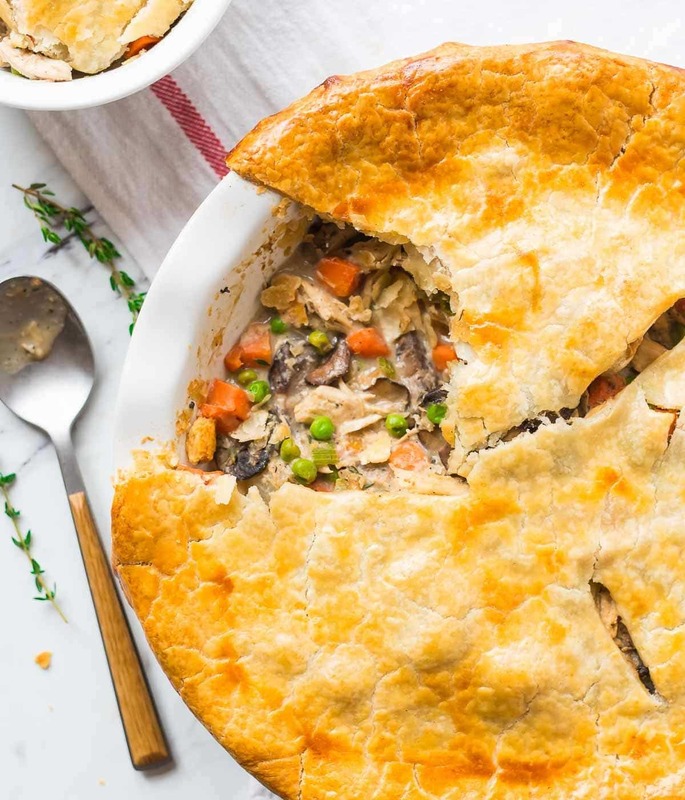 Don’t skimp on comfort food this fall with this recipe for Healthy Chicken Pot Pie. Save on the expensive meal out by making these Baked Chicken Fajita Roll-Ups instead. No takeout needed with this simple Skinny Slow Cooker Kung Pao Chicken. Dinner and cleanup are quick and easy with Honey Dijon Chicken and Veggies Foil Packets. You’ll be ready for fall soup season with this Southwest Chicken Detox Soup.